For newcomers to Tokyo, it can come as quite a surprise that Tokyo’s main international gateway—Narita Airport—is not really very close to Tokyo at all. In fact, it’s so rural and remote that the view on the first part of the train journey from Narita to Tokyo is predominantly of rice paddies—oh, and a faux-Dutch windmill. Pro tip: If you don’t mind spending a little extra for ease of transfer after your arrival, we suggest the simple option of an airport-to-hotel shared taxi service—you can book a transfer for about ¥6,180 per person. Also worth a mention is the much cheaper, speedy Keisei Skyliner train available for booking online here. 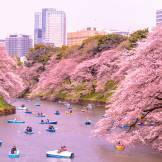 While finding the cheapest transport to get from Narita to Tokyo is a worthy quest in itself, it has become more important because of the arrival of low-cost carriers, many of which use Narita as their base of operations for domestic flights out of Tokyo. Some of the fares are cheap enough to make tourists coming to Japan consider whether they should get a JR Pass or just book a couple of flights on an LCC. However, since Narita Airport is not right in the middle of Tokyo (like the much more conveniently located Haneda Airport), transport fees to and from Tokyo should be factored into your overall costs. Getting in late at night? Check out our dedicated guide to late-night transfers from Narita. The convenience of not having to cart your luggage around is great, but the Limousine Bus service is not the cheapest option. Also, while very comfortable, the buses are, in fact, the least limousine-like wheeled transport you are likely to take. They run to major hotels all over Tokyo at around ¥2,880 one way and ¥4,500 for a return ticket. You can book bus tickets online in advance. Considerably cheaper is the Tokyo Shuttle. The bus costs only ¥900 with a reservation (and ¥1,000 cash without a reservation) and runs to the Yaesu Exit of Tokyo Station, from where you can easily jump on the subway or various JR Lines. The service does have a few conditions—you can catch it any time of day without a booking from Narita Airport (buses leave every 20 mins) for the advertised ¥900. However, when returning to Narita Airport from Tokyo, without a reservation, it will cost you ¥2,000 for early morning and late-night buses. Early morning buses are any that depart before 6 am. Unlike Limousine Buses, the first Tokyo Shuttle leaves Tokyo Station at 1:30 am—which means you can catch those ridiculously early flights out of Narita. As an added bonus, you can pick up a 1-day Tokyo Metro pass for ¥700—a ¥100 saving on the regular price. You still have to take about four regular trips on the subway to make it worthwhile though, which could be quite ambitious after a long-haul flight! Another low-cost bus option from Narita Airport is The Access Narita, which will drop you off at either Tokyo Station for quick access to JR Lines, or Ginza Station so you can jump on the subway. The one-way journey is only ¥1,000 for adults and ¥500 for kids. The Access Narita claims to be easier to use than the Tokyo Shuttle because you only have to line up at their bus stop rather than buy paper tickets at a counter. Its buses do look nice, and they also have toilets. Getting to more far-flung destinations around Tokyo by bus is a little difficult, as buses can rarely be booked from the airport. However, Japan Bus Online has information on routes direct to Mt. Fuji/Kawaguchiko and Kosoku Bus can help you out with a ticket from Narita to Hakuba. While scheduled services from the airport are rare, there are plenty of buses in the other direction from places like Nikko and Omiya. 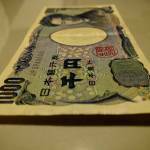 A regular taxi from Narita to central Tokyo is very expensive–usually over ¥20,000. However, there is a much cheaper taxi-like service that will take you directly to your hotel. Shared minibus: A nice, personal service and direct to your hotel, these are perhaps the most expensive bus services we recommend, but probably the most convenient. There are a couple of minibus/shared taxi services covering all hotels in the 15 most central wards of Tokyo, and they operate 24 hours a day. The driver will collect you at Departures and drop you off at your hotel, and for the fraction of the price of a normal taxi. For example, this one on Voyagin starting from ¥6,180 per person is a pretty good deal. The cheapest regular trains that run the route from central Tokyo to Narita Airport are on the Keisei Line. The good thing about the Keisei Line is that it connects with the Toei Asakusa Subway Line and the Yamanote Line, so it can be accessed from a lot of different stations in central Tokyo. The bad news is that it’s a regular train—so catching it with your suitcase during rush hour may be hazardous to your health! 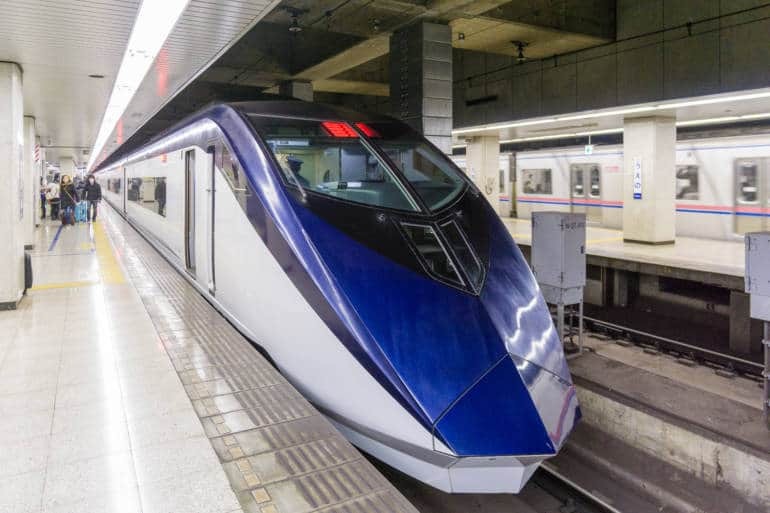 Pro tip: To help you on your visit, we’ve put together a comprehensive guide to taking Keisei trains from Narita to Tokyo. If you’re wanting to take one of these cheapo options, ask for a ticket to your destination (but not on the Skyliner). Or if you’re planning on having a few days in Tokyo, ask for a Suica or Pasmo card—this is a top-up card usable on all trains, buses, etc. in the Tokyo area. You can also get a card from the JR station ticket office opposite. 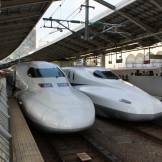 Keisei offer a couple of other options for trains from Narita to Tokyo. Slightly more expensive than the regular Keisei train is the Sky Access Express (not to be confused with the Skyliner), which actually offers better access to central Tokyo than the Skyliner because it dives into the Toei Asakusa Subway Line instead of arriving at the relatively inconvenient Nishi Nippori or Ueno Stations. You’ll pay an extra ¥190 over the regular train, so the trip from Narita to Asakusa will cost you ¥1,290 and take about 58 minutes, and (¥1,330 and around 83 minutes to Shinagawa). The snazzy Skyliner offers the speediest travel time—just 36 minutes to Nippori or 41 to Ueno—and it will cost you ¥2,470 each way if you purchase a ticket online before coming to Japan. This is the same company that runs the Tokyo Shuttle—so they also offer some discount tickets for the subway. 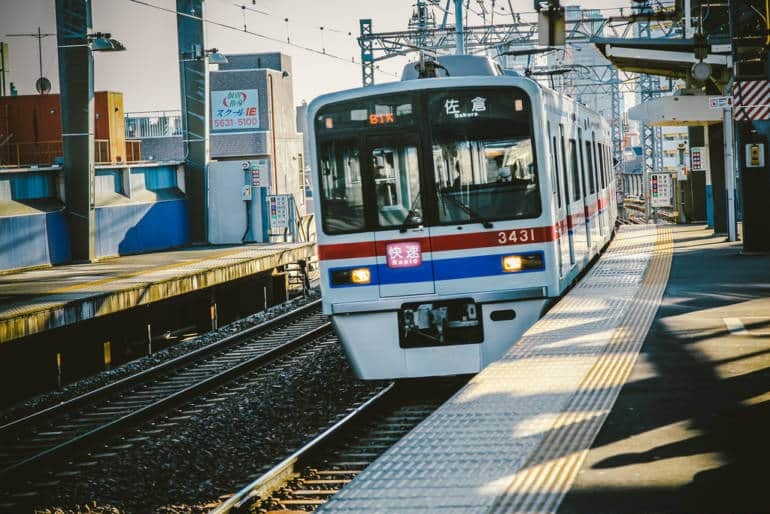 Again, we recommend looking at our dedicated guide to taking Keisei trains (regular, Access Express or Skyliner) from Narita to Tokyo—it’s chock-full of useful info and discount hacks. 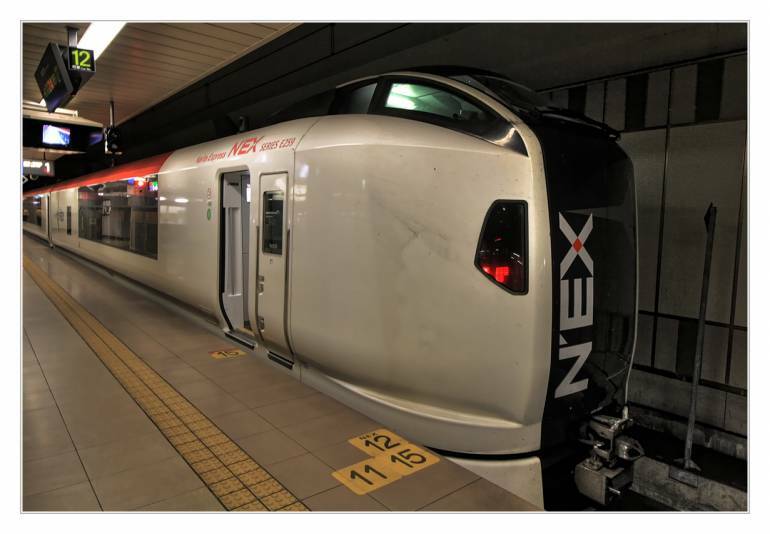 Introduced in March 2015, the N’EX Tokyo Round-Trip ticket provides round-trip travel from Narita to Tokyo and back for ¥4,000 for adults and ¥2,000 for children. The ticket will get you as far as Kurihama in Kanagawa Prefecture and Omiya in Saitama, which is extraordinarily good value. It’s only available at Narita Airport to foreign passport holders (you don’t need a tourist visa) and has a validity period of 14 days. 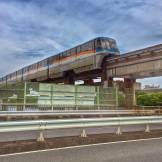 Pro tip: Read our full guide to taking the Narita Express. N’EX trains leave from Narita Airport Terminal 1 Station every 25-40 minutes or so, and stop at Narita Airport Terminal 2|3 Station on their way out. All N’EX trains go to Tokyo, but if your destination is Shibuya, Shinjuku, Ikebukuro or another station further afield, you’ll need to check which N’EX trains will take you there (otherwise you’ll have to transfer). The timetable shows you the exact time N’EX pulls into the station; if there’s no time listed, it doesn’t stop there. Even if you can’t take advantage of some special ticket or pass, the Narita Express is still one of the most trouble-free ways of getting to the main JR stations in Tokyo, as you don’t have to fight for a seat, there’s lots of space for luggage and there’s no need to change trains. The regular price isn’t cheap though; it costs about ¥3,190 each way. You can buy tickets at the JR station at Narita Airport. Also if you plan on traveling beyond Tokyo the same day, then you can use a JR pass (see below). Given that it doesn’t cost that much to get into Tokyo, you should think very carefully before you activate your JR Pass—especially if you plan to spend the first few days of your trip in the city. You might want to choose another option to get into Tokyo, and then activate the pass when you embark on a longer inter-city trip. If you haven’t got your Japan Rail Pass yet, you can reserve your pass online. Not sure if you need one? Read our article on which JR pass to choose. Catch a taxi for ¥20,000 to ¥25,000 or charter a helicopter for a mere ¥70,000 or so per person. For more helpful info on getting around once you’ve made it into the city, as well as other essential Tokyo basics, check out our eBook guide. While we do our best to ensure everything is correct, information is subject to change. This post was originally published on July 30, 2012 and is regularly updated. Last update: November, 2018. Escape Tokyo for the day, see mountains, hot springs, the modern, the traditional, the old and the ancient! A great list there of a wide variety of options that are available for transport out of Narita Airport. We usually use the JR Narita Express, although its not the cheapest it is very convenient and has a lot of connections. 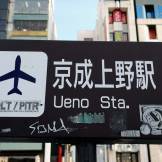 JR Nex is good to get to central and southern Tokyo and Shinjuku, The Keio Skyliner and Cityliner trans are definitely the quickest option to get to Ueno and the east side of central Tokyo or to transfer to go to northern Tokyo. I once landed before the fast train services started and used a local morning commuter service to get to Tokyo. It took longer and cost less, became very crowded, but was a great experience! Not for the faint hearted or claustrophobic though. train route commences), you can almost always find a seat. Whee are the discount train ticket shops you mentioned? It’s not completely clear in that post, but there is a similar machine right next to Akasaka-Mitsuke Station. Also around Shimbashi station is a hot bed for that kind of thing. Hi Steve, I must admit I’m not too familiar with English tools for checking train schedules – I generally use either the Japanese version of the Jorudan app or Google Maps. Recently I’ve been using Google Maps more and more – the public transport info is excellent and it factors in the walk from where ever I am to the station and the walk from the station at the other end to my destination. Tried Google Maps or Jorudan yet? The public transport integration is very, very good on Google Maps. That timetable is probably just designed for portability and it says ‘weekdays’ so it’s a normal schedule. I’d say it’s most likely Hyperdia is just wrong. Hi Greg, I was wondering if you can help me. This is the train you are talking about ? On the map seems like we dont have to change, but the very first time I came in Tokyo I THINK I took that train and I got lost. I am not sure, since it was years ago… and maybe things have changed. If this is the same as yours, can you tell me if from Terminal 1 to Ueno I have to change train ? Thanx ! I’m getting married in Tokyo in April, and will be arriving a couple of weeks before my guests. Besides arriving and leaving myself, I’m going to make another two more trips between Ikebukuro and Narita to pick up and see off family members. I have a couple of quesitons: does the “Tokyo Direct Ticket” on the NEX take you to Ikebukuro? Also, can I buy several Suica & NEX deals for myself during the one stay in Japan? I don’t think there’s any restrictions with how many you can buy. Hi – We are taking a trip in October and will layover in Tokyo for about 8 hours between 12am and 8 am. Any thoughts/ideas/tips on what to do those hours, how to get there from Narita, and general info about anything considering the time frame available- thanks in advance!! I’m not sure its worth your while going into Tokyo for such a short time. The cheaper transit options will take well over an hour, and the Nex Express as the article mentions isn’t cheap (even with the 1,500 ticket into the city). I don’t know what’s around Narita, though. The train isn’t an option as it won’t be running while they’re in Japan. The buses are the only realistic option with their schedule. Narita village is pretty much your only option. As msupp and chikaraginger mention, getting to and from Tokyo at that time is going to be a challenge – the buses will be quite infrequent at that time. The only interesting places at that time would be Shinjuku or Shibuya I think. Everywhere else will be asleep! Can guide me about which train I should catch up in midnight? As I arrival in Haneda airport 10.30pm and need to be in Narita at 6am to Sapporo. Just realize not yet search info for transportation. I’m flying next week. Please help me!!! Hi .. Could you tell me if it is better to take Narita express or Limousine bus from Narita to Shibuya station , as my wife and I will arrive a saturday morning , around 9am ? Regardless of the fare of both options ..
Is the traffic ok on a saturday morning ? We will have two luggages . The traffic is hardly ever heavy in Tokyo unless you’re travelling at the start or end of a long weekend/public holiday so I wouldn’t worry about that. They’re both a similar price so if you’re going to Shibuya Station to change trains then you might as well catch the Narita Express. The only issue I’ve had with the Narita Express is that it sometimes takes a while to get going. You have to line up to buy tickets and then wait for the next train. Buses seem to leave more frequently but they’re slower – so take your pick! The train takes approximately 83 minutes and goes direct from Narita to Shibuya without the need to change – not all the Narita Expresses go to Shibuya, but this will be obvious when you get your ticket. Bus takes about 2 hours. Shibuya is a big, busy, confusing station but if you’re staying near the south exit it’s not bad. For train times, use Jorudan and Google Maps. Hi … I’m arriving at Narita from New Zealand, at around 5pm on a Fri night, and catching a flight from Haneda to France at 10pm. Is it best to jump on the bus or take the train? I’m assuming both options give me enough time to catch my flight rather than watch it depart! Damn, I hope your flight doesn’t arrive late! Around that time of day there aren’t any trains that go direct from one airport to the other so if you’re just worried about getting to the other airport, I’d take the bus. Tokyo’s road system is highly levied so big traffic jams are rare. However, if you want to see a glimpse of Tokyo, you probably won’t see a lot from the bus. If you want to take a the train instead, you’d catch the Skyliner to Nishi-Nippori then take the JR Yamanote Line around to Hamamatsucho, then take the Monorail to the Haneda International Airport terminal. Oh, just remembered something 🙂 The Yamanote line is a regular commuter line and around about the time you would be using it, it will be jammed with people. I’d take the bus if I were you! A good travel agency will include the bus transfer ticket between the airports! We’ve always had it included. Once, when the flight was late and we missed our connection… so they offered either a hotel night in Haneda or to pay for our Shinkansen ticket. This must be an NZ thing. A relation of mine had a similar deal where he had to work out his own transfers from Narita to Haneda. The timing wasn’t quite as tight though! This was when booking with HIS or IACE, both Japanese travel agencies. If the transfer is the same day, they give you a bus ticket. I don’t think it’s a matter of country, but rather of travel agency. Japanese travel agencies cater to their clients, and buy these things in bulk at a discount rate. For our connection, we missed the connection at the SAME airport (Narita), so the airline reimbursed us. The flight left late due to heavy snow and arrived in Narita with less than an hour to make the connecting flight. Do you have any tips for Ibaraki? My friend told me that taking the bus from Ibaraki to Tokyo Station is actually faster than flying into Narita. Any truth to this? Sorry for the slow reply. Do you mean flying into Ibaraki Airport? There is a pretty speedy train from Ibaraki to Akihabara and I know they were promoting that airport as a hub for LCC airlines but I don’t know anyone that’s used it. No problem. I didn’t realize there was a train there. They have a bus that takes around 1 1/2 hours that wasn’t too bad. How long does it generally take from Narita? Guys, mind that now there’s an offer for foreigners where they only pay 1.500 yen for a one way ticket on the Narita Express. You have to buy the ticket at the desk and show your passport. Thanks for the heads up! The Narita Express discount ticket has been added to the article. If you activate your pass at Narita Airport, you can use it to catch the JR Narita Express into Tokyo. However, if you plan to spend your first few days in Tokyo, the Japan Rail Pass is kind of useless. If your pass covers a subset of your time in Japan, you should only activate it before you embark on some long distance travel – like traveling to Kyoto or Hiroshima. Hey! I have 2 friends visiting me this month and the next. Their trips overlap. I was wondering what you suggest for the best transportation deal? Meaning a short one day tourist pass would be no good. Also, I live so far away that doing the one way (foreign passport) ticket would be pointless, since a train ride from tokyo to Ageo is 700+. Currently, I have a Passmo card but am looking into one of those commuter passes where I pick certain destinations. As for my two friends visiting, their visits are overlapping a little. Could they share a pass? 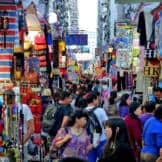 Is there one you suggest for travel within the Tokyo area? Technically two people aren’t supposed to share one pass. You could risk it, but if they decide to check the ticket against a passport they’ll probably confiscate it. The decision to get a rail pass or not depends on how much the daily travel budget is likely to be. The 7 Day JR pass costs 4,250 a day for travel anywhere – a great deal for anything long distance. The JR East pass costs 4,500/day but you can split it over 5 non-consecutive days – you can’t go south of Shizuoka though. The JR Kanto pass is the cheapest at about 2,700yen/day but it has to be used over 3 consecutive days. Return trips and metro around Tokyo and back to Ageo are only likely to cost you up to 2,500yen/day. I’d still get the 1,500yen NEX ticket from Narita though – it will get you all the way to Omiya and then you just have to adjust your ticket for Ageo. We are going to the airport this sunday 3rd of May. Understand that there’s a public holiday coming up. Would traffic be bad from Tokyo to Narita airport ? We are planning to take the limo bus. Any idea how long would it take? We can’t decide on what time should we leave Tokyo. You forgot to mention the Keisei Skyliner + Subway. 3 day Toei/Metro pass + skyliner for 3500 yen. Not Cheap.. but if you’re going to be staying in Tokyo for a few days it may be worth it. Thanks for that. Yes, we’re going to have to cover these multi-day passes separately I think. I’m personally not convinced that they’re good value. They don’t cover all the metro systems and train companies, you need to make multiple trips in one day and the major neighbourhoods of Tokyo are more walkable than most people realise. Actually, yesterday, I even saw some tourists catch the subway from Meijijingumae to Omotesando! They probably didn’t realise that it’s a lovely 10 minute walk! 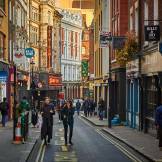 Travel time sometimes varies depending on the time of day. The following site is really useful for finding rail travel times. Both of the bus companies have English web sites so you should be able to get travel times directly from their web sites. For the bus times, check the respective sites – they both have pretty comprehensive English guidance. On 21 Dec, I am arriving Narita Airport terminal 2, going to Maihama station. Pls tell me what is the cheapest mode of transport. Access Narita + Keiyo (at Tokyo station)? Pls share details as subway in Tokyo seems complicated. Thanks! Even though Maihama is in Chiba (like Narita is) the transport connections are not very good. Your best options are to take the cheap Narita Express ticket (1,500yen) to Tokyo and then take the Keiyo Line to Maihama. Alternatively, there are buses that run regularly from Narita Airport to Chiba Chuo. If you get off at the Kaihin Makuhari Ekimae bus stop you can catch the Keiyo Line to Maihama from the other direction. The bus/train option will cost you 1,202yen. Could you please let me know, whether I can get to Narita with Keisei Skyliner using my Suica card? I got a bit confused, cause I wanted to get to Narita from Ikebukuro Station or Asakusa Station (I haven’t decided on a place to stay yet) , and according to hyperdia, Keisei Skyliner from Nippori or Ueno would be the most reasonable option. I am just not sure whether I have to buy ticket in advance or whether I can just use Suica for it. Trains like the Narita Express and the Skyliner require tickets with your carriage and seat number printed on them so you can’t just jump on with your Suica/Pasmo. However, if you have cash on your Suica you can probably purchase the ticket at the ticket counter using your Suica. If you catch a regular Keisei Line train, you can jump on with your Suica. Don’t get off at Narita though! Make sure you get off at Narita *Airport* – they’re different stations. CheapoGreg, thank you so much! 🙂 Appreciate the help. By the way, most people just turn up at Nippori and buy a reserved seat ticket. 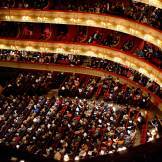 If you’re worried about not getting a seat, you can book online from their site. Thanks for this excellent post, Greg! If I want to go from Shinjuku to NRT on the JR and Keisei main line with transfer at Nippori, do I buy the full 1230 yen ticket at Shinjuku (if so, where?) or do I buy a normal JR ticket for Nippori and then a second Keisei ticket at Nippori for the onward journey to NRT? Does it make any difference if I pay cash vs using Suica/Pasmo? This Thursday I am going to Tokyo narita to Uneo after 5.30pm which train is cheapest and convenient with 2 PCs of luggage. Thanks Greg for a fantastic article! One quick question: do the schedules on each bus company’s website cover all seven days of the week, or are there special services on Sundays? I need an early morning bus to Narita on a Sunday… Thanks again! Hi Richard, I’m pretty sure the schedules are 7 days a week – no change on Sundays. Trains definitely run on different schedules though. Anyway, can you advice me thoroughly, how can I take a m early morning bus from Tokyo Station to Narita airport. My flight will be at 7am. Which option do I have? What is the best time to board the bus? Can we guarantee the seat? Because I will be travelling 5 person, I don’t want to miss the seat. Hi, this is my first time in Tokyo with my family and 2 young kids. 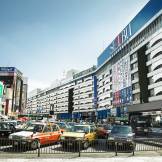 We are searching for cheapest & convenient way to get to hotel in Shibuya from Narita airport. I checked Hyperdia from Narita airport to Shibuya but not sure why the fare is different from what you had stated. Hyperdia shows a seat fee for Keisei Skyliner 2. Please recommend is that the best way to get to hotel in Tokyo? I will be leaving airport around 8am, i know will be crowded, what time is best to travel to avoid crowds? Hello there! To go from Narita Airpot to Oshiage the best way is with Keisei Narita Sky Access? I sae that on google maps, but I dont know how much is it, anyone knows? Hi, please let me know what is the best way to get to Narita Airport to catch a 5pm flight (Saturday) after joining a morning tour that starts at 9 am and finishes at 12:30 pm same day or you think I would not have enough time to do this. Thank you so much for your help. The easiest and most convenient way to get to the airport is by bus – either the ones from Tokyo station mentioned above or the Limousine Bus from major hotels. You’ll need to check-in for your flight by 3pm and the bus usually takes 60 to 90 minutes, so if you jump on a bus around 1pm you’ll be fine. Hey, we get to Narita early evening and want to meet up with friends in ito. Any ideas of the best, cheapest way to get there by dinner time? I think that might be a little over ambitious – that trip is at least 3 hours even if you throw the Shinkansen in there – unless you have a Spanish definition of dinner time – i.e. 9pm or later. There are also a few train changes. My recommendation would be to get the Narita Express as far as you can in that direction – either Shinagawa or better still, Yokohama. The N’Ex to Yokohama leaves less frequently but there is one that departs Narita daily at 5:16pm and gets into Yokohama at 6:50pm. After that there’s a Tokaido Line train departing at 7pm to Atami. Get off at Atami then take the Ito Line to Ito. Arrives at 8:53pm. If you have a JR pass and you want to activate it, you could go to Tokyo Station instead and jump on the Shinkansen down to Atami. That might save you 30 or 40 minutes. If you don’t have a JR pass and you’re not planning to stay long in Ito, a JR Kanto Pass might be good. 8,300yen for three days of unlimited travel in the “greater Tokyo” area. By way of comparison, if you get the special cheap one-way ticket on the Narita Express, it will cost you about 3,163yen using the first route I mentioned above. Thanks that’s super helpful.. And yes, it is dinner at 9.00 or later! Just realized, Ito is a really small town. Where will we find an open restaurant! Any ideas would be very welcome. Are we better off picking up snacks and sake at the airport or train station and carrying? Also any good/cheap places to eat in Tokyo woul be helpful. Thanks! Hi there, thanks for these great information!!!! We were so stupid to book super cheap flights (vanilla air) and not paying attention to the arrival/departure times….. The return flight (to taiwan) is at 7:40 in the morning….this should be easier, as there´s shuttle buses leaving from 01:30 am onwards ….right? could you please suggest the best way to get to Hyatt Regency Hotel from Narita airport when we land at 21:00? I’d just catch the ‘Limousine Bus’ direct to the hotel. Just go to the Limousine Bus counter and look for buses going to the Roppongi Area hotels. 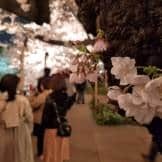 You could take a cheaper bus to Tokyo Station or the train, but carting your bags around the subway system late at night and then dodging the drunks in Roppongi wouldn’t be the most relaxing start to your stay! From one Greg to another thanks for the site and what I see are good replies. Your best bet is to head to one of the bigger stations like Shibuya or Shinjuku. There are lots of suitcase sized lockers around both stations – not all the lockers are 24 hours so be careful on that point! The Japanese is “Coin Locker” (koin rokka). IMHO Shibuya is more interesting during the day and Shinjuku at night – you can stagger around all night in the Golden Gai district with lots of quirky little bars. 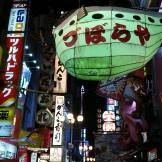 There’s also Kabukicho – the red light district – next door. It’s interesting to have a wander around but I’d do it while sober as it can be a little bit dangerous if you piss off the wrong person. That said, this is Japan – even Kabukicho is safer at night than most big cities around the world. The Narita Express (there’s a cheap one-way ticket at the moment) is your best bet for getting to Shibuya or Shinjuku. It’s a bit trickier getting to Haneda though. I’d jump on the Oedo Subway line and go to Daimon/Hamamatsucho where you can change to the Airport Monorail. I did have an idea of taking the train from Narita To Haneda dropping my bags off there and taking the monorail back into the city is that’s something you would recommend or is it going to be too expensive? I figured it might be less confusing because I heard there is a train that goes from one airport or I can take a bus/van and monorail back to the city? Hi Greg, Thanks for posting such interesting and informative stuff. I need some advice: I would be arriving at Narita 5.10pm. I would be heading to Hilton Tokyo Bay and would have missed the last Airport limo. I have 2 adults and 3 kids with quite a few luggages. What is the best way to get there? Thanks! Disney is actually ridiculously tricky to get to from Narita Airport. The easiest thing to do would be to jump on a shuttle bus or the Narita Express to Tokyo Station, then take the JR Keiyo Line from Tokyo Station to Maihama Station. Maihama is basically “Disney Resort Station”. Unfortunately, regular commuter trains run on that line and it’s evening time, so it might be a little crowded. Not ridiculously so, but more than you might be used to. The express train takes 23 minutes to get to Maihama. However, if you take a slower “local” train on the same line, you may find it much less crowded. When you get to Maihama you’ll have to either catch a Taxi or jump on the Resort Monorail as the Hilton Tokyo Bay is right on the other side of the parks from Maihama Station. There are alternatives from the airport but they involve multiple train changes or taking a commuter bus into Chiba city and then changing to another bus etc. After a long flight, I wouldn’t recommend that. Sorry I can’t be more helpful! 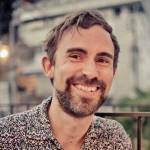 Hi Greg, this is a brilliant article -the most logical I have come across yet. I believe my question may be covered below, but I’d like to hear your thoughts all the same. I am arriving at Narita at 1pm on the 8th of Dec. The plan is to spend 4-5 days in Tokyo, with 2-3 days in Kyoto (taking the Shinkansen) somewhere in the middle. Will likely extensively use the Yamanote line + 1 or 2 day trips. Will then head from Tokyo back to Narita and back a 11am flight out on Sun 14th Dec, marking just under 7 days in JPN. Thus I was planning on getting a 7 day J Rail pass. With that, what is your recommendation of the best way to and from my hotel if I were to put up at Shibuya/Shinjuku? Your thoughts are much appreciated, thanks in advance. With that amount of travel in less than 7 days, the JR Rail Pass makes complete sense. Just validate/activate it at Narita Airport and take the Narita Express straight to Shibuya or Shinjuku. You’ll be fine, but just to clear up a misconception, you can’t really expect to stick to the Yamanote Line for getting around Tokyo. The Yamanote Line is just a circular line that connects to all the suburban railways. If you’re in Tokyo you’ll spend 90% of your time on the subway (Tokyo Metro and Toei Subway). I used the Yamanote line almost exclusively when I was using a JR Pass in 2011 – the rest I walked 🙂 or very seldomly took the metro (using a Suica card). I guess it’s *possible* to only use JR lines 🙂 As someone who lives in Tokyo, I don’t think I’ve taken the Yamanote Line since some time last year! The metro is a lot more convenient, although the network is rather spaghetti-like to the uninitiated! But I’m walking a lot anyway when I’m on one of my trips, so I didn’t mind. Does the Keisei line travel to narita as opposed to just from narita? 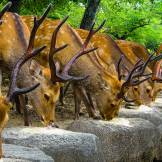 What’s the cheapest option to get to narita airport from shinjuku-gyoenmae? Yes, they have to get the trains back to Narita Airport so they can pick more people up! If you take a regular Keisei Line train you should take care with your stations – Narita is a completely different station to Narita Airport! An Express on the Keisei line is definitely the cheapest way to go. However, if you’re new to Japan I wouldn’t recommend it. You can easily end up on the wrong train! The Narita Express still has a cheap deal on getting into the city, so I’d just take the Narita Express to Shinjuku and then transfer to the Tokyo Metro Marunouchi Line and take it two stops to Shunjuku Gyoen-mae. Me and my wife will be arriving Narita Airport on Dec 13 and will go straight to the hotel at Grand Arc Hanzomon, 1-1 Hayabusacho, Chiyoda, Tokyo 102-0092, Japan. What would be my best and convenient option to go that hotel? We will be staying at Tokyo until Dec 17. Will Suica be the best option for us roaming around Tokyo for 5 days? This will be our first time to travel to Japan. Thanks so much for the fantastic information, I really appreciate the photos you’ve provided too! I’ll be travelling for the first time to Tokyo and am currently trying to figure out a way to get from NRT Airport to Edogawa (Best Western Hotel). It seems like the most direct route is to go into central Tokyo first (like shinjuku) with the 1500Yen NEX pass and then take a local subway back out towards Edogawa? If you could provide some insight or perhaps another suggestion that would be great. I’ll be arriving on a Sunday night around 6pm (really don’t want to get lost late at night). Is that the Best Western in Nishikasai? Edogawa is actually quite a big ward and Edogawa Station is a relatively minor station far to the north of Nishikasai. If it is Nishikasai, then just take the N’EX to Tokyo Station and change to the Tokyo Metro Tozai Line in the direction of Nishifunabashi and get off at Nishikasai. It’s quite a walk from Tokyo Station to get to the Tozai Line platform, but it’s all connected underground and well signposted. Just a small tip for the Tozai Line – it’s one of the few subway lines that has an express. The express doesn’t stop in Nishikasai. Ps if your knowledge extends to Kyoto could you tell us if you know any ryokan/onsen accommodation? Also interested in an overnight Buddhist temple stay so if you’ve heard anything around Osaka or Kyoto let us know? Apologies for my slow reply. If you’ve got limited time in Tokyo, I’d recommend heading straight in. There is NOTHING in Narita – just dull hotels, empty lots, roads and an airport. At that time of the day the bus options are better than the train as the trains just go to the big stations so you would probably have to do part of your trip on crowded subway lines. The shuttles are good value while the Limousine Bus will get you either directly to or within taxi ride of your hotel. The train pass is good value for what you’re planning. Bus passes are better value if you’re really looking to save money, but the trip to Kyoto takes over 8 hours vs. less than 3 on the Shinkansen. Also, (I think) the Shinkansen is a big part of a Japan experience so it’s worth doing for that reason. Sorry, not up on Kyoto, although we’re starting up a site called Japan Cheapo to cover the rest of the country soon so hopefully there will be something up within a couple of months. I do not share CheapoGreg’s opinion about Narita – I think it’s a charming little town, Omotesando street is quite nice, with cute shops and there’s a nice shrine/temple in Narita. I stayed there for a night before flying back home in 2011 and I liked it so much, that I’m staying for two nights this April. JR Pass is a good value for going to Kyoto and Osaka, I was very pleased with this. I visited Kyoto for 3 nights, with a side trip to Osaka (aquarium) and one to Nara; stopping at the Fushimi Inari Shrine on the way to Nara. The hotel I stayed at in Kyoto had an onsen (Superhotel Shiyo Kawaramachi). It’s near Nishiki market, which I recommend for a visit. I also had thought about staying at Matsubaya Ryokan in Kyoto. I hope you have a good trip! I’m not sure if this is a new promotion, but I was able to take the Narita Express from the airport to Shinjuku for 1500yen. You have to have a foreign passport and purchase the ticket from the window teller. It’s a great deal since the regular price is about double. This promo ends March 15 2015. From then on the only promo on the N’EX will be a “return” ticket valid for 14 days at about 4000 Yen for adults. I’ll be flying in Narita and will be going to Kyoto. After activating JR pass, can I hop on the Narita express or do I need to get another ticket? I’m planning to transfer to shinkansen at the Tokyo station. Also, I’ll be flying back home on Thursday (11am flight). I’ll be in staying in Shinjuku the night before. Should I leave before 8am to take the yamamoto line and then Narita express to beat the rush hour or should I leave earlier than 8am? Thanks! will be the first time in Japan. I need alot of help. I will be arrival in Narita on feb11 about 4 pm and will want to head out by noon in tokyo and stay in Tokyo till sat the 14 and be in Henada airport by 11pm . I would like to know where can i stay near the Shinjoji temple and what is the best rail we take since we travel with luggage and also where to stay in toyko should we stay? since we travel on budget. Thank you very much for your help. Hi Monique, I’m afraid I don’t know a Shinjoji Temple in Tokyo. I did a little searching and there is a temple by that name in Nagano Prefecture. There are a lot of temples in Tokyo though, it might just be a really obscure one. You’re not talking about Sensoji Temple are you? That’s in Asakusa – there are lots of places to stay near there – take a look under Sections -> Places to Stay in the menu above. If you decide to head to Asakusa and you have lots of luggage, take the Keisei Skyliner from Narita to Ueno. After that, it all depends where you stay. Getting to Haneda is easy from there – you can jump on the train at Asakusa Station (Asakusa Line) and go straight to Haneda. Hi, I read that they are will be selling NEX TOKYO Round trip ticket starting March? 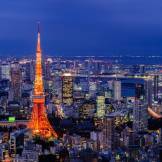 Would you know if I can avail of a one-way Tokyo to Narita Airport ticket? Reason being I’m arriving in Haneda Airport. Thanks! first time holiday in Japan Tokyo for 5 days arriving on the 6th April at Narita airport about 2.50pm, we rent an apartment at Dogenzaka 310, Shibuya Tokyo, can you tell me where to get the JR east pass or any pass train pass cheaper at the airport and how much it cost for 5 days and also can we travel around Tokyo, can that pass use for bullet train as well. The JR Pass is only available outside Japan – you can’t buy it after you’ve arrived. you can either get it from a travel agent or from one of the links above. Pricing info also is above. However, if you’re spending all your time in Tokyo, you absolutely don’t need the JR Pass – a Suica/Pasmo pre-paid pass with a few thousand yen on it would be fine. 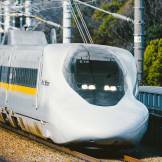 The Shinkansen (bullet train) doesn’t run in Tokyo – it’s an intercity train. So if you plan on going to cities in the North, South or West, you can use it. If you just want the experience of the Shinkansen without costing too much money, I’d recommend the Kanto Area Pass. You could go to somewhere like Karuizawa for a night with that pass. Be staying is right near the station. I’m just thinking do you think it’s ambitious for us with the suitcases to get on the train? Hi Greg, clicked on the Tokyo Shuttle link (http://www.keiseibus.co.jp/global/en/nrt00.html) and noticed KBS,keisei,Narita Airport Transport. Would like to know which is the one I should be taking if I want to go to Narita Airport? Or is it that all goes there? Thank you! Hi Val, They all go to Narita Airport. Hi…My friends and I will arrive Narita Airport on 4 June 2015 at 08.10. Can I take The Access Narita bus to Shinjuku? What is the best kind of transportation For us? Thank you. No, you can’t. The Access Narita takes you from Narita to Ginza/Tokyo Station. You could get off at Tokyo Station and take either the JR Chuo Line from Tokyo to Shinjuku or the Tokyo Metro Marunouchi Line. I am traveling with my mother who suffers from a disability requiring her to use a wheelchair. We will arrive on a Monday evening, so considering my mom’s disability which is better Narita Express or Limousine bus? I’ve never seen wheelchair facilities on a Limousine Bus. However, the Narita Express definitely has allowances for wheelchairs – the Keisei Liner too. Well there’s not cheap and convenient, or cheap and not so convenient. The simplest way is to get the Limousine Bus for 3,100yen which will drop you off at the lobby of your hotel. You can purchase tickets in the arrivals area at Narita Airport. If you want cheap, take the Access Narita bus or the Tokyo Shuttle to Tokyo Station then take the JR Chuo Line to Shinjuku. The cost for the train portion is 200yen each. You should be aware that you’ll be wandering the streets for a while in Shinjuku before you find your hotel as it’s not immediately adjacent to the station. Also, I wouldn’t advise catching the Chuo Line with luggage during rush hour. If you catch a taxi from Shinjuku Station to the HIlton, you’ll need two taxis – 770yen flag fall (shouldn’t be more) for each taxi. Good luck! Hi. First time going to Tokyo and going to be there for a week, Any help is going to be real useful. 1. Staying at a place near Akasaka station, What is the best way to get there from Narita? Will have 2 luggage. Is the option by airport limo bus good? Where does it stop? 2. For a week’s stay what is the best pass to buy to move around. 3. In case of emergency : if have to take a taxi, what is the typical starting fare? How do they charge? Have many questions but just going to get as much info as possible and the rest, just try and enjoy figuring it out. We are a group of 6 people going transit through Tokyo in September and we plan to overstay there for 2-3nights. My question is we each have one luggage to pull along so what is the best & convenient alternative for us to travel from Narita Airport to Tokyo….I havent choosen any hotel in Tokyo yet. Thank you for your help. Any of the buses, the NEX or the Keisei Skyliner should be fine. The only time you might have an issue with one bag is if you change to the subway or a regular train line. For example, the NEX stops at major stations like Tokyo, Shinagawa, Shibuya, Shinjuku and Yokohama, while the Skyliner stops at Ueno or Nishi Nippori. If you need to get to a smaller station from there and it’s morning rush hour, then you’re in for a real shock! If it’s after 10am and not early evening, you’ll be fine. The advantage of the (slightly expensive) limousine bus is that it goes directly to major hotels. we will be arriving on 29th March at 19:30 (7:30pm) at narita airport. Our hotel is next to Jimbocho station. 2. Getting around in Tokyo we found the “Unlimited Ride Tokyo Subway Ticket” here on your site. Do you think it is sufficient to see the major tokyo attractions and for a general getting around? Thanks in advance. Keep up the good work! Love your site. Sorry, got a bit behind on responding to comments. A Pasmo/Suica is almost always the best way to get around – unless you are on a hectic, whirlwind tour where you visit 4 places in a day and somehow manage to restrict your transport to a single subway system. Hi Isabel, Apologies for getting back to you a bit late – got behind on replying to comments a bit. Hope you figured it out. Hi, could you please advise me as to which mode of transportation is the fastest way/hassle-free from Shinjuku area to reach Narita Airport in order for me to catch my early morning flight @ 10.30am? Thank you so much. That’s not too early. Just jump on the Yamanote Line and go to Ueno Station. From there you’ll need to take the Skyliner – which you should book in advance on their site. Also, I’d recommend leaving Shinjuku about 6:30am so that you avoid the morning rush hour on the Yamanote Line – which is horrific with luggage. Is Akasaka station same as Asakusa? Quite confused. Most definitely not – that’s why they’re spelled differently! Akasaka is on the Chiyoda Line in central Tokyo while Asakusa is at the terminus of the Ginza Line in the eastern part of Tokyo. Thanks for posting this up! It came in really handy, though I’ve been to Tokyo a few times already! Excellent and useful article! What’s with the dogs and cats in the pictures?! Thanks! That’s based on our theory that any photo of otherwise boring things can be enhanced with the addition of oversized kittens and dogs! Hi .. confusion time.. Arrive Narita 7pm Saturday night.. need to travel to Hamamatsucho station..
Do you need to catch a train from Hamatsucho or just get to the area? JR Hamamatsucho Station itself is not very accessible – the Monorail and the subway are better. If you’re coming off a long haul flight with an elderly person I’d recommend the bus. Either the Tokyo Shuttle followed by a taxi to your hotel or a Limousine Bus directly to the Hamamatsucho area. Our accommodation/ BNB is a 4 minute walk from hamamatsucho north exit.. Tokyo Shuttle to Yaesu ? are the taxis/ limo bus easy to find? book etc.? Any idea of approx. cost for them? You can get the prices for the shuttle at the links above. “Limousine Bus” just means a bus from the Airport to a major hotel – there’s nothing remotely limousine-like about them! A taxi from Tokyo Station (there will be hundreds – no need to book) to near Hamatsucho will probably cost you about 1,500yen. Hi, Just use Suica/Pasmo. JR pass is completely uneconomic for a short stay in Tokyo. Shinko, Naka-ku, Yokohama-shi, Kanagawa-ken 231-0001 or do we need to catch a train. I’m guessing because I’ve been a bit slow replying to comments that it’s a bit late now. Limousine Bus is always the least hassle if you’re staying in a big hotel. I very much doubt there will be a bus from Ikebukuro to the cruise pier. You’ll need to take the train to Yokohama. Thanks Greg for the reply. Wecaught the limo bus to the hotel and train to Shinko pier when in Tokyo last month. Hi Greg, my family (with 10 yrs old kid) and i are going to Tokyo end of Dec. Wonder what will be the best traveling card (for metro or JR lines etc) if we plan to stay around 5-6 days in Tokyo? Sorry for the slow reply. 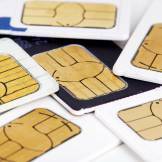 A PASMO or a Suica (the same thing, just sold by different operators) is all you need. If you don mind I will give u an idea of me itenery and pls advise. thank you. Hope my reply isn’t too late! To Asakusa, the Keisei Skyliner (not JR) is best – you can alight at Ueno which is close to Asakusa. For the rest of your trip, a Pasmo and a separate ticket to Mt. Fuji is best. JR has a special pass for Mt. Fuji, but unless catching a slow train is part of your plans, the bus is better value and faster. Hi, we will be arriving at Narita on 1.30 pm Tuesday 7 September……..we are booked into Yokohama Royal Park Hotel. We were wondering how we would get there……does the Limousine Bus take in the hotels in Yokohama? We have two heavy bags plus 2 carry on bags so the easiest except expensive taxis would be best for us. I just wanted to tell you that you’re amazing and this site is great. I am visiting Japan in a few weeks with my boyfriend and I know we’re going to have a worryfree travel thanks to your tips! I’d treat you to a beer if you happen to be there in july/august! Hi Greg, following on from Laurents question. I arrive at 1730, at Narita and need to get the bullet train at 1950 from toykyo station. Google says it takes a hr, if I get a taxi ( through my flight) do you think the traffic will be an issue??? I’ll be going to Japan for the first time this November and am quite confused by Japan’s intricate railway system. If I need to get from Narita to Akasaka (where my hotel is located), what would be the best way to get there? Greg. I’ll have one day in Tokyo soon. I get into Narita at 7 AM and have to be back there by 4pm. Do you think Sky Access Express or spend the extra bucks for Skyliner? I want easiest access to central Tokyo. Thanks. The “easiest” is either the Narita Express to Tokyo, Shibuya or Shinjuku or the Tokyo Shuttle/Access Narita to Ginza. The only problem with the Skyliner/Sky Access is that it terminates in Nishi Nippori or Ueno – neither of which are very happening neighbourhoods. If saving a few bucks is important, take the shuttle bus – you’ll get a better view too. I will be in Tokyo on 14th August; my first time ever. Could you kindly get me the simplest way form Narita Airport to my hotel in Ikebukuro? Great post! Do you know if there’s a way to get on the Narita Express one-way from Shinjuku to NRT? We’re flying into Haneda, so we won’t be able to purchase the round trip Narita Express ticket at NRT. There’s no problem catching the Narita Express one way. Check the departure schedule as there are only (!) 23 trains each day from Shinjuku. It will cost you 3,190yen per person for the one way trip. For eay to get around and affordable hotels. Asakusa, ikebukuro, Ueno and surrounds. Hi, my friends and I will arrive in Narita on 9/24. We will fly out of Narita on 10/1 (so 8 days). We will spend 1 night in Tokyo, and then take train to Kyoto for 3 nights, and then 3 nights in Tokyo. Is it worth it to get the 7-day JR pass and activate for use on NEX when we arrive. And then pay for return to Narita to fly home? Thanks in advance for your advice. Either activating it on arrival or waiting a day and using it for your return trip to Narita should be fine. JR currently has a cheap deal for getting to Tokyo from Narita Airport but not the other way around, so waiting before activating the pass might be better. Hi Greg, Since I’m staying at the Park Hotel Tokyo Shidome, I thought it best to get one of the limousine busses from Narita straight to my hotel. do you have any other suggestions? You could also get the shuttle bus. The Access Narita stops at Ginza Station which is 1 subway stop from Shimbashi – Shimbashi is basically Shiodome. You could also jump in a cab from Ginza – you might be able to get to Shiodome for the cost of the flag fall – about 770yen. Hi Greg, I was planning to take a flight from Osaka to Tokyo given the cheap fares vs. Shinkansen. How much would a reasonably fast transport take from Narita to Shinjuku vs. Haneda. Its a $40 flight to Narita but $72 to Haneda. I understand Haneda is closer to Tokyo but will my savings of flying to Narita be offset by transportation into Tokyo? The costs are about 800yen for Haneda to Shinjuku and 1,200yen from Narita to Shinjuku. Your biggest cost is time – the trip from Narita (on the shuttle) takes about 45 minutes to an hour longer. Hi, can you advise me what the cheapest and hassle free way to get from Narita airport to Keio Plaza Hotel? We are a family of 5 (2 kids). Arriving Narita at 5pm. Thanks Greg for the valuable advice. Appreciate it. You can get the JR tobu line for 1320 yen between the airport and Tokyo Station. The entrance is just next to the Nex ticket counter in Tokyo station. Do you mean the JR Sobu Line? That can be a tricky line with not all trains destined for Tokyo. Definitely possible though. Tobu is a private railway company. Hi! Where can i get Pasmo/Suica when in Tokyo? 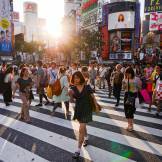 is it the cheapest to get around Tokyo? We will be in Tokyo only for 4 days. You can get it at any station – subway, JR, private lines etc. JR sells Suica, the others sell Pasmo. When using them, there is no difference. The cheapest way to get around Tokyo is on foot 🙂 The subway isn’t bad though. Hi Greg, I will be landing at Narita Airport and staying at the Sotetsu Fresa Inn Nihombashi-ningyocho hotel. Does it make the most sense to take the Narita express to Tokyo station and then go from tokyo station to Suitengu-Mae Station? I’m not sure if the other options make the most sense for my route. Thanks. Well the buses also go Tokyo Station for a lot less than the Narita Express. However, the connections to stations around your hotel from Tokyo station are not very good. Suitengumae Station is pretty tricky to get to – you would need to change at least once. If it’s a nice day and you’re not too tired, you could just walk – it’s only 23 minutes on foot from Tokyo Station. According to the taxi fare estimator, you could get to your hotel from the station for about 1,180yen. Hi…I will be spending 5 days in Tokyo area, and then overnights in Nikko and Hakone. I am confused to the best type of transport. Is there one type that covers all or should I buy different type? Thanks for your advise. You probably won’t get one pass that will cover all those nicely. 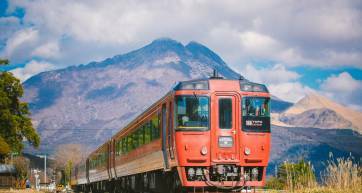 You can get to Nikko on either the Tobu Line (a private non JR line) or JR while the usual way to get to Hakone is to take the Odakyu Line – another private railway. Sometimes buying a pass just unnecessarily restricts you and doesn’t save any money anyway. hi greg, what is the best and cheapest option from tokyo to narita as i have a flight at 8.40…. Hi lia, It all depends where you are, what time etc. Have another read through this article – all the information is there. Hi, i’m staying at shibuya, if I want to take Keisei Narita limited express, is it I need to go tho Ueno Station and change to Nippori station, from there then can take the limited express? Most of the limited express trains start from Haneda Airport and run through the Asakusa Subway Line, so you can take it from any express station on the Asakusa Line – Daimon, Shinagawa, Nihonbashi, Asakusa etc. can i get from Narita airport to Shinjuku station on the NEX train without changing trains? and approx how much would this cost? Yes, you can. Not all trains run straight to Shinjuku, but there is at least one every 30 minutes. If you’re catching it on the way back too it will cost 4,000yen for a round trip ticket. Hi Greg, you are such a nice guy to give so many good advices! I will probably arrive Haneda at 9.40pm and we actually intended to get a JR pass (beforehand) to go to Kyoto straight after landing and spend last few days in Tokyo. Can you advise if it’s doable to still go to Kyoto after landing Haneda at such late timing? Thanks!! I checked the Yahoo route finder, but it isn’t showing any possible routes at that time. You’ll have to leave for Kyoto the following day. Hi, we will stay in Tokyo four nights from 17.-21.12. at Palace Japan hotel address: 2-31-6 Kiyokawa, Taito-ku Tokyo Tokyo-to 111-0022 Japan. We will arrive at Narita airport at 8am in the morning. Could you please tell me what the cheapest option is to get from the airport to the hotel? And also, what ticket should we buy for the four days getting around in Tokyo? We are planning to travel one day to Yokohama. Thank you in advance for your help. I would catch the Skyliner to Ueno and then take a JR train to Minami Senju which is close to where you’re staying. You don’t need a pass for travel within Tokyo – just grab a Pasmo or a Suica and charge it with 2 or 3.000 yen. Great, thanks for your help. Is the Pasmo or Suica just to travel within Tokyo? What is best option to get to the Yokohama International Stadium (Nissan stadium)? You can use Pasmo/Suica on any non-reserved, non limited express train in Japan. The closest station to the stadium is Shin Yokohama. If you wanted to go on a VERY short Shinkansen ride, you could buy a ticket from Shinagawa. The trip takes 11 minutes and costs 1,270yen – or you could do it the slow way for about 500yen on regular JR lines. It takes about 40 to 45 minutes from central Tokyo. Also note that the regular JR Shin Yokohama Station is a bit inadequate, so if you’re going for a major game, you should go early because it might take you 10 or 15 minutes just to exit the station because of the crowds. No problem. Glad to help! My husband and I will be arriving at Narita Airport on 14 Dec 2015 @ around 3. We will be staying at the Sotetsu Fresa Inn Kyobashi. 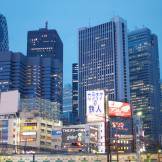 (15 min walk from Tokyo station) . What would be the fastest and most cost-effective way to get there? The Narita express or Limousine bus. The Narita Express is faster, but the shuttles (not limousine bus!) that run to Tokyo Station are quite a bit cheaper. 101-0063 Tokyo Prefecture, Chiyoda-ku Kanda Awajicho 1-7-5, from Narita. Cheapest is to take one of the shuttle buses mentioned above and then jump on a JR Chuo Line train from Tokyo Station to Ochanomizu Station. The fastest is to use the Skyliner train and change to the Yamanote Line at Nippori Station. Take the Yamanote Line in the clockwise direction and get off at Akihabara. my son is going from Narita airport to Hanbeda airport from there has to catch a flight to Okinawa, how is best to do this. There is an “Airport Express” that runs direct between the airports. If you go to the following page you can see a timetable for the “Sky Access Line” if you scroll down the page. On weekdays between 7:39am and 3:24pm there are 1 to 2 trains an hour running between the airports. After that you need to change at Sengakuji Station. Another alternative is the “Limousine Bus” which connects the airports directly. 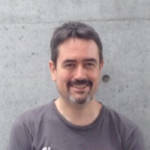 Hi Greg, my wife and I would be arriving in Narita in February 2016. We would like to go to Kyoto from there and spend some time in Kyoto, Nara and Osaka before returning to Narita for our flight home. I understand that the N’ex Train is the best option and for us to alight at Shinagawa Station but which would you advise that we take from there to Kyoto, return journey that is? Thanks. Hi Greg, First of all thank you very much for this amazing information. My query is, I would be landing at Narita airport at 8.30 AM on Wednesday. I am hoping to complete all my activities (getting JRP, wifi etc) by about 10.30 AM. I am looking to take the Kensei Ltd exp then change at Nippori stn going to Shinjuku. Do you think its okay to take this option instead of NEX? My only concern is carrying luggage through to Nippori – Shinjuku route at about 11.30-12 through the crowded train. Sorry for the slow reply – it’s difficult for us to be super responsive. I hope you managed OK. Midday (from about 10:30am until 5pm) on the trains is usually not a problem at all. Thanks for the info! I took the Keisi Limited Express from Nippori to Narita but found that they will NOT accept credit cards for the 1030 yen, only for the more expensive Skyliner at 2470 yen. The ticket booth workers also admitted that it was wrong, but adamantly would not accept it. I think they do it purposely, to make foreigners pay double the fare! I’m sure the same rule applies to Japanese so they’re not targeting foreigners. The same payment conditions apply on all lines – the rail operators want to encourage you to take the more expensive reserved seating options, so they make payment easier. super helpful – thank you! Thanks for the feedback, glad it was useful! This article is due for an update after the sales tax increase. Narita airport to Tokyo station by Keisei + Yamanote is now 1,400 yen, and it is better to take a regular JR train, which costs 1,320 yen and does not require a transfer. The downside being that the non N’EX JR trains only run once an hour whereas there are about 6 non Skyliner trains an hour running towards Tokyo on the Keisei line. I still have my Pasmo card, it is so easy, almost fun, to ride Japanese trains/subways. Leaps and bounds ahead of Portland Oregon’s infrastructure design. Hi there, im arriving in narita on march 10 in the afternoon and im planning to use the regular train instead of the skyliner. Is that a good idea? 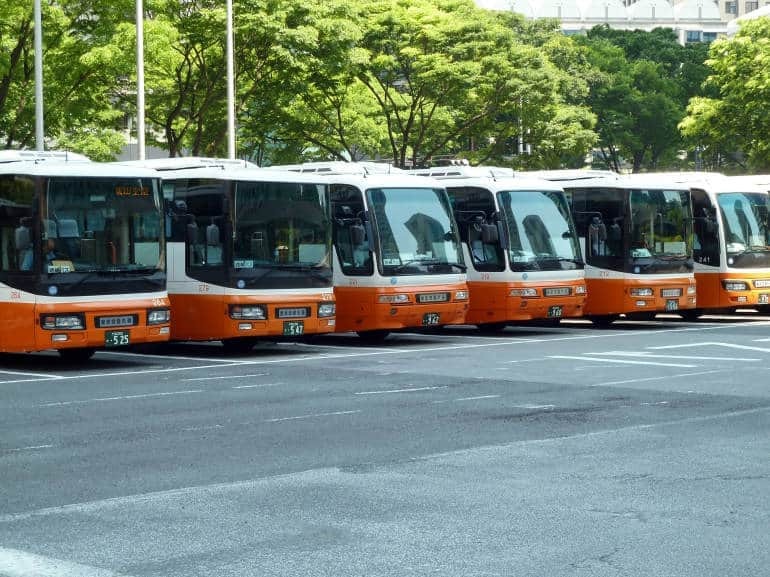 Can I buy Airport Limousine Bus tickets online, to go from Narita Airport to Haneda Airport? AFAIK you can only get tickets in advance going from the city to either of the airports – not from the airport. You can take the Narita Express direct from Narita to Shinjuku. You can also take the limousine bus direct. The other methods (shuttle bus, Keisei Line etc.) require you to switch to other forms of transport to get to Shinjuku. Greg, thank you very much for the quick response. I have a few follow up questions . I will be traveling with my wife and one infant child, so we might have 2 luggage and a stroller with us. What would be a hassle free (train or bus) transport to the shinjuku Granbell hotel on a Sunday evening? Are the trains convenient with luggage? Can we catch a taxi from shinjuku station to hotel and where is the taxi stand at the train station? Also any idea on the cost for the train, bus or taxi service. THANKS AGAIN! ! Sunday evening is the absolute best time to get any kind of transport. Either the Narita Express or the Limousine bus would be fine. The Narita Express has places to store your luggage but regular trains and the subway don’t. Shinjuku is one of the biggest stations in the world so there are multiple taxi stands – just follow the signs. Which form of transportation do you suggest? Is it worth it to get the Amazing Osaka Pass? I hope you will enlighten me on this before we leave for Japan. Thank you very much. I’m afraid I don’t know about the Amazing Osaka Pass. Buying tickets for the N’EX, Tokyo to Osaka and Osaka to Nagoya would be cheaper than the JR Pass. There are a variety of passes for the Kansai area. Hi there, You don’t need to change trains with Narita Express. Check their website for travel times – the train is always faster than the bus. Hi Greg, my family and I will be going from Narita airport to Shibuya station to Daitabashi station as our apartment is located at 1 Chome-25-4 Ōhara monndo oohara 2F, Setagaya-ku, Tōkyō-to 156-0041, Japan. Our arrival time at Narita airport is about 930pm. What would be the best and cheapest transport going to our apartment? thank you so much. Hi Alice, Did you leave two different comments? If your apartment is in Daitabashi, why do you have to go from Shibuya Station? If you take the Keio Main Line from Shinjuku, you only need to catch one train. If you go from Shibuya, you need to change at Meidaimae. I would go to Shinjuku instead. Hi. We are planning to travel 4 nights Tokyo-3 night Kyoto- 2 nights Osaka. Would you recommend us buying 7 days pass JRpass and acitvate it after landing at Narita? To begin, I refer in my original response here from so-many years ago, and which people with swifter internet connections than I [still on v.92] should already have read. People, J.R. is not the only train operator in metropolitan Tokyo. Can you get that through your brain? Yes, J.R. prints lots of folios for English-speakers. Everything you have heard through your entire life roars "buy the JR Rail Pass", but if all you are visiting is metropolitan Tokyo (and Machida, Kawasaki, & Yokohama), you do not need to buy the J.R. Pass(!). I believe that when people buy the J.R. Pass, they lock on to the mentality of "Must ride J.R. – only J.R.", which means you won’t get to the neighborhoods of the area you really should visit. Do not worry about having a big satchel and riding the Keisei Main Line train line to Tokyo. You will be able to hoist your bag onto the rack above the windows. If you are staying at a ho(s)tel in Asakusa, you need to change trains @ Aoto, but it is an easy across-the platform transfer. 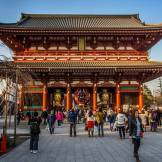 Asakusa is a neighborhood in Tokyo which is being left in the dust while major English-language media plays up Ikebukuro, Shinjuku, & Shibuya. But it is infinitely more fascinating. Go there, and Ueno as well. Pls i need help. We will be going to tokyo for the first time this april 11-15 with 2 luggages, but we dont know what transpo to use we will be staying in shinjuku and according to the flat where we are staying the nearest station in JR shinjuku station. Any advice for a easy transpo and an afordable one too. Taxi are just way to expensive! Hi Greg, thank you so much for all the great info you provide. We arrive at Narita on 5 April and would like to use the Tokyo Shuttle. We would take advantage of the 1 day Tokyo Metro Pass if it is still on offer as we will be activating our JR rail pass the next day when we leave for Kyoto. ( will return to Tokyo at the end of our trip for a few days). My question is – do we make our way to the Keisei Counter as per above for the bus? It seemed to be just for the train and I wasn’t sure if we had to go somewhere else for the bus. First of all, thanks for this and the other articles and posts you provided, the info is invaluable. I have a question that perhaps only someone who lives in Tokyo can answer. I arrive at Narita right at the start of rush hour, 5 pm on a Thursday. I’ll be heading to either Otsuka-Ikebukuro or Shibuya direction (haven’t decided yet). Should I forget about any kind of bus, due to rush hour, or the roads INTO Tokyo center (vis a vis OUT of Tokyo into Narita) might be passable? ie. about an hour and a half? Do the buses take Higashi Kanto Expressway or Keiyo Rd? I don’t remember. Whew, those pictures with the cat and dog in them really cracked me up! Actually Access Narita limousine shuttle is definitely THE CHEAPEST option to/from Narita airport. It costs only 1000 Yen one way and preschool kids are free if sitting in your lap. So, for the family with two preschoolers it costs only 2000 yen one way! Its drop off and pickup are at convenient Tokyo station and Ginza station. Any advice(beyond the excellent stuff already given) to the hopelessly directionless to get from Narita to Ikebukuro without having to get a taxi.Budget around $35 U.S. The Keisi Skyliner to Nishinippori or Ueno and then the Yamanote Line to Ikebukuro are your best bet. Will only cost you about $20. Best to avoid the Yamanote Line during rush hour though. Thanks Greg,I`ll give it a try. Hi, i will be staying nearby Noborito station. Which transportation should i take to go to Narita Airport? Hi, I seriously need your help regarding transport in Japan. I’ll going in Sept 2016 and first landing in Osaka for 4 days then going to Kyoto for 2 days and to Tokyo for a day then to Hakone for hotspring and spend 6 more days in Tokyo.Which transport is better for me to use to go from district (Osaka, Tokyo, Osaka) and for travelling to the attractions in the area? People always said buy JR Pass but Not sure if it really necessary. We are a group of 4 people with backpacking style so less budget and faster transport is what we really need. Could you share a suggestion or solution for the transport? hi, i love your website, it’s really helpful. Would you mind advising on best route at reasonable price from Narita to OmoteSando? We fly out of Haneda so a return ticket to Narita won’t get used. It will be for one adult and two 15 yr olds. Hi! Great article! Hmm. I’m just going to ask what is better n’ex or keisei. Our hotel is located at ikebukuro. I’m confused on how are we going to get there. Are we going to change train after n’ex? Thank you so much! The problem with 5 people is that you won’t fit in one taxi – you’ll need two. So the cost might might be 8,000yen each. Another alternative is a shared mini-bus – the link in the article is for an arrival transfer. The following is for a departure transfer – the price is $52/person. Although they only pick up from hotels, it says they pick up from ANY hotel, so there’s probably one really close to your Airbnb accommodation. Also, rather than just hailing a cab, you can get a fixed price taxi to the airport if you book directly through one of the operators. Hi, We a family of 6 Adults are travelling to Japan in Jan. We are hesitating whether to purchase the JR pass. Our plan are from Narita Airport take the NEX express to Tokyo station. From Tokyo to Kyoto for 3 nites and back to Tokyo for 2 nites before flying back to Malaysia. What do you suggest on the pass if we will to move around Tokyo and Kyoto. You will have little time to do anything but schlepp over to your hotel, eat, sleep, and leave again the next morning. A 3:30 arrival at Narita means that you might catch a 5:30 train into Tokyo. So you’ll arrive at your hotel at 7:00 p.m. Tired and hungry and needing a shower. You will have time for a nice meal that evening. Forget about sightseeing in the dark. You could go to Tokyo Sky Tree but why? The line to get to the top is over an hour long. If you have an 11:00 a.m. flight you should leave Tokyo by 7:30 a.m. You could leave later but you’ll be rushing and standing in longer lines. The Westin is an expensive hotel. Nice place. Seems to me that you’re making a mistake going into Tokyo. Stay at a hotel near the airport. There are some across the street from the airport entrance. That’s exactly what I needed to hear. The last time I was in Tokyo was over 25 years ago. And that was on business, so traveling on the company’s dime is different from traveling out of my pocket. Thanks again for the reality check. Will stick around the airport hotels and cause trouble over that neck of the woods. Happy New Year! Greg, like many others; I too am very impressed with the TokyoCheapo website. Well done to all involved. Day 1 to Day 5 (inclusive) I intend to purchase a Pasmo card. Day 6 to Day 18 I intend to use Japan Rail Pass (14 Day). Days 19 & 20 I intend to use the Pasmo card. I was looking at travelling (airport to Tokyo & vice versa) via the Narita Express but the N’EX TOKYO Round Trip Ticket unfortunately has only a validity period of a mere 14 days. Instead, I favour the idea of travelling via the Keisei Limited Express (even with a transfer at Nippori).